Sherlock had stood there, head high even though Mycroft could clearly see he was in pain, as he slipped on his coat. He asked about John, demanded to know where he was going to be. Mycroft tried to pretend he didn’t know, tried to toss out sarcasm, but all liars and all pretenders have a ‘tell’. His presumed sarcasm was his biggest. Fish and chips, every Friday. Never once did he miss an opportunity. 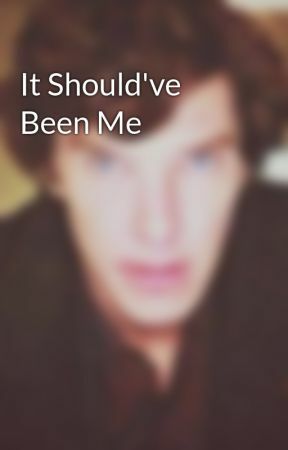 John never really did get over Sherlock and the guilt welled within Mycroft. He thought he was doing John a favor, seeing him once a week, giving John what he considered a dose of Sherlock, helping him cope. But now, it was different. Mycroft didn’t continue meeting with John for John’s sake. He meet with John because he wanted to- as much as he tried to pretend otherwise. Proud and excited, Sherlock missed it. He missed the whole thing, even though he knew all of Mycroft’s tells, studied them for years. Sherlock was so adamant, so persistent, so… blind, and Mycroft was… scared. He had no idea how to tell Sherlock, even when to tell Sherlock. The microscopic section of Mycroft that was jealous didn’t even want to tell Sherlock, wanted to watch the surprise on his brother’s face. And just like that, he was gone. In a flash of words and a billowing coat. Just like always. Drama queen. The urge to call John, to let him know, to warn him was overwhelming, but Mycroft forced himself to take a deep breath. He forced himself to calm down. This was all up to Sherlock, and he had to put all of his faith in John- faith that John wouldn’t break his heart. Sherlock stood proud atop that building, atop the place where he started his two year adventure. Then, his heart had been heavy, aching, torn. He knew he was going to be leaving John then, knew he would not be able to contact him, see him. But now, he was elated. Thrilled. He was going to see John again, and they were going to go off on their adventures again, solve crimes, blog. Annoy Mycroft on occasion. Things would go back to normal- things would be just as Sherlock had dreamed of and remembered when he was chasing killers or being tortured. It would be all as he had hoped when he could feel his hope leaving him. It was times like that, John’s face would appear. A laugh, or a look. It would ease away the pain, remind him of why he was there in the first place, of who he was really protecting. And now, Sherlock had all the time in the world to show that to John, to say all the things he’d been too afraid of before. It was a diner, a small one. Sherlock had been there time and time again with John. It only made it more perfect, that their reunion be in a familiar place. He strode in, head high, back straight, pain throbbing throughout his every muscle. Sherlock smiled, cocky and proud, his eyes on John, on John’s mustache- the one thing that was going to change as soon as John moved back to 221B Baker Street. Sherlock took a moment, took a breath, studying John, taking him in. Oh how long it had been since he’d seen John, the real John. 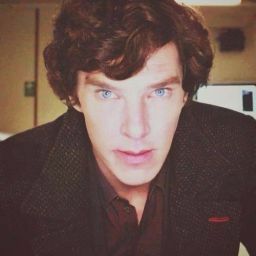 There was a fluttering in Sherlock’s chest, a twisting in his stomach. What if John didn’t just take him back? What if things didn’t go back to the way they were? What if John changed and no longer accepted or cared about Sherlock?